Want to be the biggest Bad @$$! In New England? 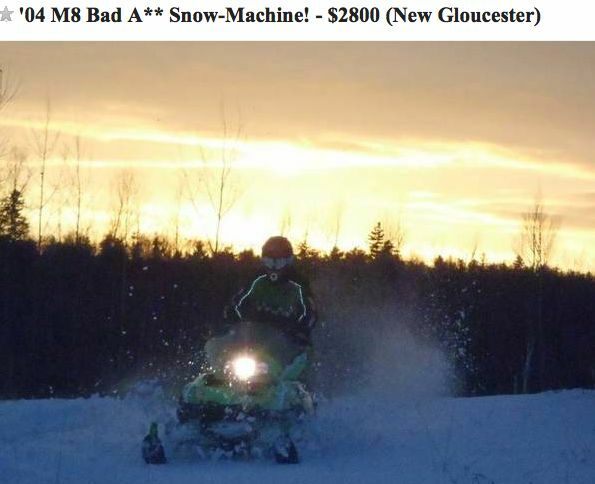 Read THIS CRAIGSLIST POST, buy the wicked sled and enjoy the title of BAMF. Who HASN’T wanted to take a snowmobile for a rip around a ski hill?!? Unlike most of us, THIS guy actually did it. 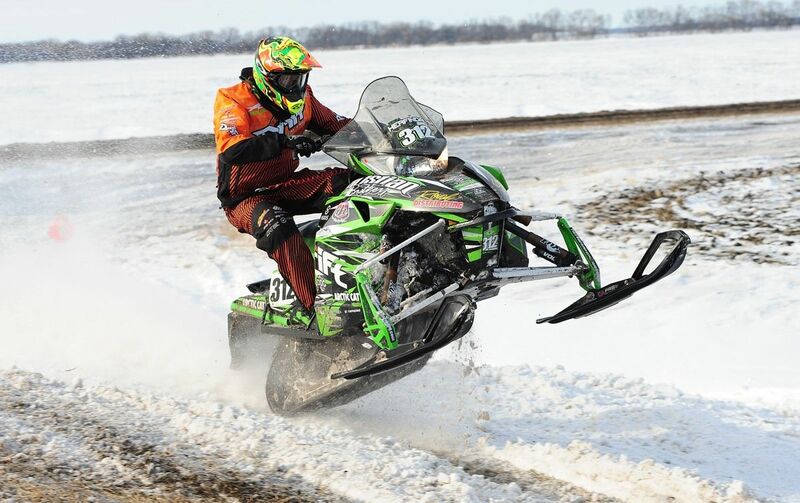 How mad is Peter Packard for getting called out by local media for his snowmobile fail? I’ve done similar maneuvers my whole life. Fortunately they weren’t documented on the local news. Let me get this straight: a drag racer fails to navigate a turn and crashes into a tree. Somewhere IN THIS STORY is a joke, because the guy himself provided the punch line. Wolf (almost) bites person. Officer drives snowmobile over wolf, killing it. Recent storms have dropped enough snow in certain areas to open up the first riding opportunities of the season. And the regions where snow has been on the ground are maintaining it. 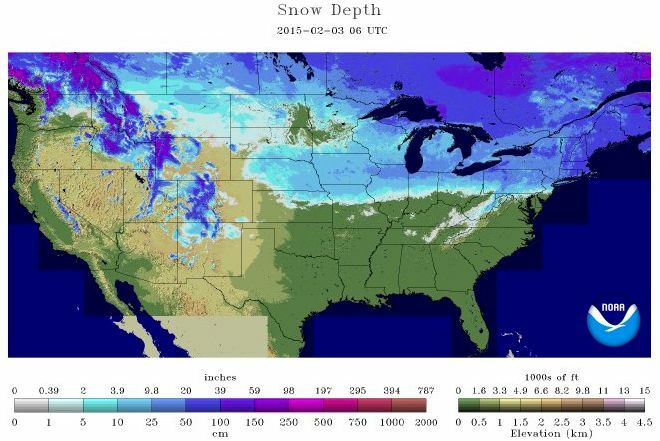 The above map (from NOAA) of snow cover tells the story. I'm headed to northern Wisconsin this weekend for my first significant riding of the season. Are YOU going riding this weekend? I'm thankful for the wind-in-my-hair freedom of riding my snowmobile. I'm thankful that loud pipes save lives. I would be thankful to hear a word that describes the front chassis design. And I'm thankful it's Friday, Jan. 30, 2015. Today Arctic Cat reported 3rd quarter 2015 fiscal results, including net sales of $193.7 million with net earnings of $7.5 million. This compares to $225.8/$12.1 million in the prior-year quarter. In other words, sales are down. The company lowered its full-year outlook and is “resetting [its] strategic priorities to deliver improved long-term performance. Financial experts can decipher the numbers and report HERE. The four statements that caught my eye on this report are below. * “I can say with confidence that we will seek to spur growth through additional OEM partnerships and small bolt-on acquisitions that enable us to quickly expand our expertise and capabilities, and drive even faster product innovation. * The company also continued to increase investment in research and development to ensure a strong pipeline of new products and technologies. * In early February, Arctic Cat plans to introduce a new Prowler ROV for the 2016 model year. 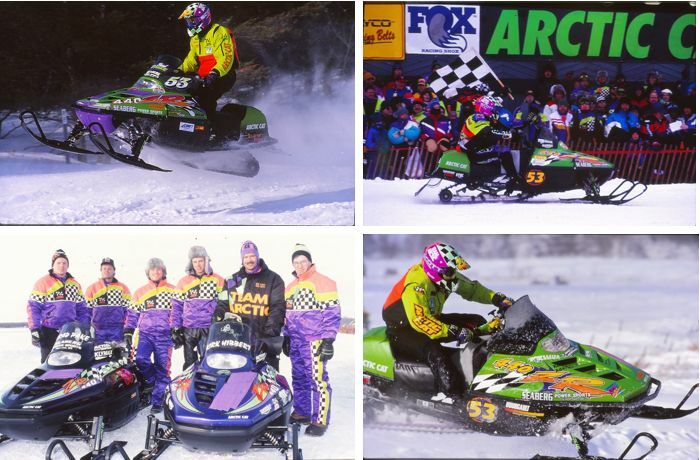 When terrain racing exploded in popularity in the mid-1990s, Team Arctic's Brad Pake emerged as one of the very best at both cross-country and snocross. 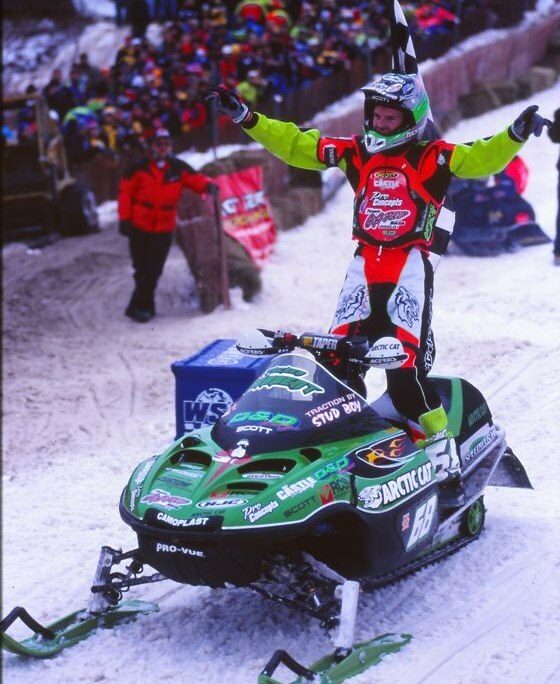 In a remarkable four-year stretch that ranks among the all-time greatest, the calm and quiet farmer from Felton, Minn., claimed two I-500 cross-country wins; one ISOC and one FANS Championship; the 1996 Snow Week Racer of the Year award; wins at nearly every major cross-country and a pile of snocross victories. This interview about his career, his family and his friendly rivalries with friend Kirk Hibbert was a long time coming, but I think it's worth the wait. 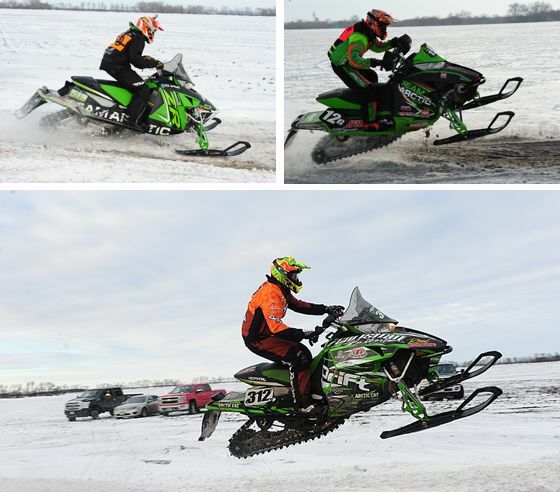 Fans of (Minnesota Vikings) NFL football, Arctic Cat and snowmobiling are invited to the 20th Annual Arctic Blast Snowmobile Rally, Feb. 6-8 in Thief River Falls, MN. 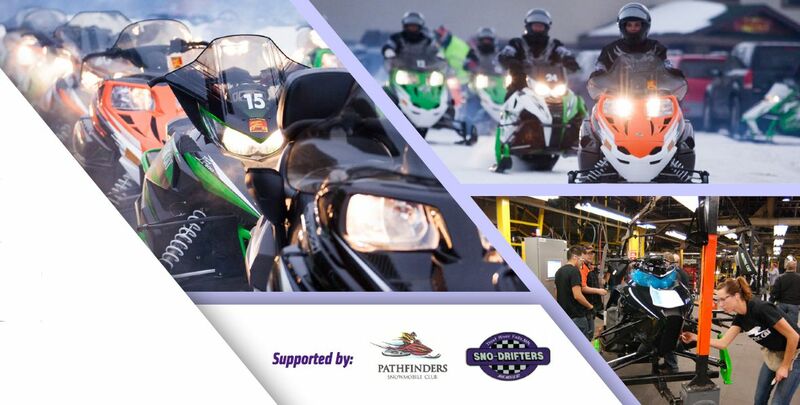 Participants will enjoy meeting former and current Vikings players; a snowmobile ride; Arctic Cat factory tours; flag-football with the Vikings; a rocking concert featuring Hairball; and more. Pre-Registration is $20 while day-of registration is $30. Pre-registrations must be received online by MIDNIGHT, February 1, 2015. All-pre-registrations will be eligible to win a pair of 2015 Minnesota Vikings Season tickets. Proceeds from your registration will benefit the Vikings Children’s Fund. Click HERE to launch the Arctic Blast Website for more information. 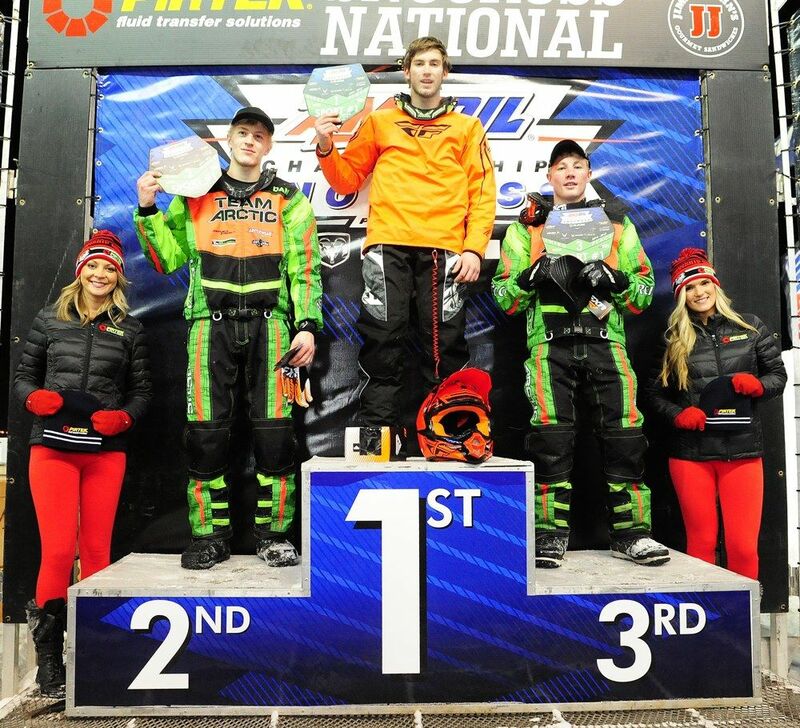 Team Arctic racers/crews enjoyed a pretty amazing string of success at the ESPN X Games last weekend. In addition, Cory Davis jumped into Silver in Long Jump AND had enough Speed & Style to capture Bronze. Congrats to these guys and all the Team Arctic racers who flew the colors at the sport's highest profile event! Team Arctic's Ryan Simons struck gold in Hillcross at the ESPN X Games yesterday. It was an awesome display of holeshot, power, jumping and sled preparation. Click to see some pix from SnoX365. The top cross-country racers in the Midwest hit the ditches and river for the first time during the 2015 USXC season, shedding light on which racers and brands were best equipped for the kind of terrain racing that most accurately reflects where most of us ride. Here's how it looked to my eyes (and through my Nikon lens) as it unfolded. Team Arctic cross-country racers dominated the first ditch and river race of the season, scoring 11 wins in 17 classes at the USXC cross-country in Grafton, ND. I'm thankful for the rich history, creative genius and hopeful experimentation that has been part of the Eagle River Derby since Day One. I'm thankful for the way certain sleds draw our attention and, on occasion, lead us onto paths that change the sport for good. This weekend Team Arctic's P.J. Wanderscheid is aiming to extend his record number of Eagle River World Championship titles to FIVE! He will attempt this historic feat after a one-year hiatus from racing, during which he and his brothers Mark and Dave attended to their ailing father. 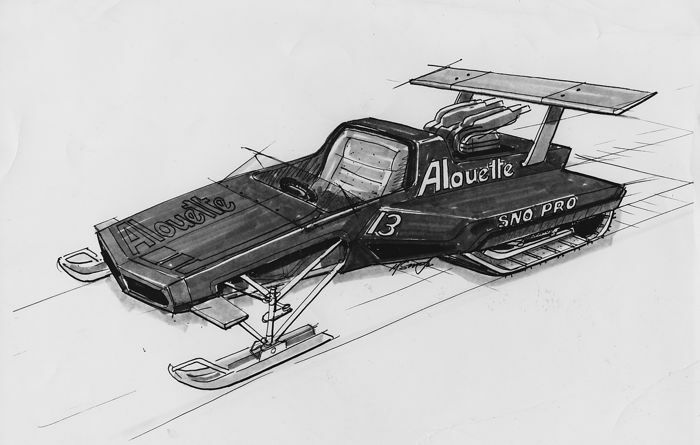 Wanderscheid isn't the only Team Arctic racer hoping to win this year's World Championships: two-time winner Gary Moyle will be there and strong as ever. Will we see another epic battle between he and P.J. like the one in 2011? Let's hope so. Colt Dellandrea will also be there, more prepared than ever to try for his first win. Best of luck to these guys and all the other racers competing in this historic venue. The Seven Clans Casino USXC I-500 cross-country race is ON, albeit with a few modifications due to the lack of snow in central Minnesota. Click to read the route update, and why this will still be an epic three or four-day cross-country event. Pathetic or hilarious? You decided. Then guess whether the dude’s B.A.C. is over .30. Arctic Cat and Tucker Hibbert deliver a Make-A-Wish dream-come-true for a boy battling leukemia. This is so cool! There is absolutely no reason to add the words “Had Drugs” on this headline about a snowmobiler. Of course the guy was on drugs. Another item flagged for its headline...a clever word play that pokes fun at you and I. What it’s like to plunge 3,000 feet down a mountain, into a ravine, then suffer 32 hours believing you would die? 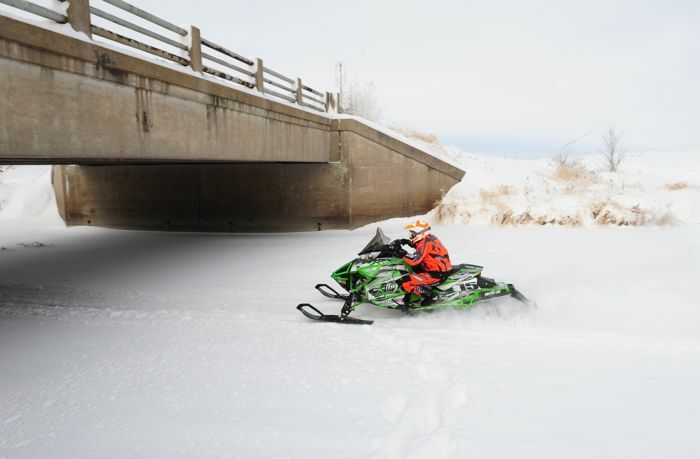 An absolutely harrowing story, and a reminder to never snowmobile alone. I will admit that I always wanted to snowmobile on my high school’s football field. Some goons actually follow through with such wishes. Team Arctic delivered a pretty exceptional performance at last weekend's ISOC snocross National at Canterbury Park in Shakopee, Minn.
Fourteen years and a couple months ago, in his first weekend as a professional snocross racer, Tucker Hibbert won the Pro Open class at the 2000-2001 season opener in Duluth, Minn., at the tender age of 16. In the 14 years since , Hibbert has risen his fist in victory a total of 99 times. Tonight he will go for his 100th. Click to read about why it will be worth watching. I'm thankful for the DIY kit projects I read about in Popular Mechanics. 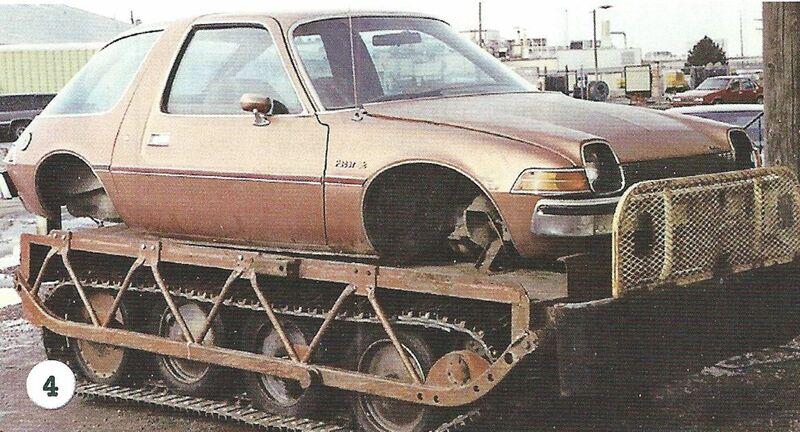 I'm thankful that people* are finally starting to take the Pacer more seriously. I'm thankful for the luxurious paint, more effective front bumper and premium shock package available in the Limited package. And I'm thankful it's Friday, Jan. 9, 2015. *Special thanks to Charles Plueddeman for taking (and sending) me a photo of his car. 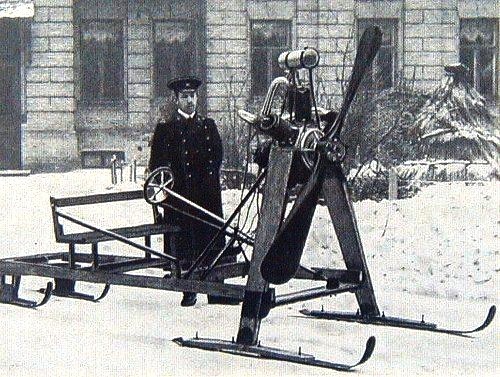 I'm guessing that when you buy a new sled, you perform a few basic adjustments and make a few custom touches. 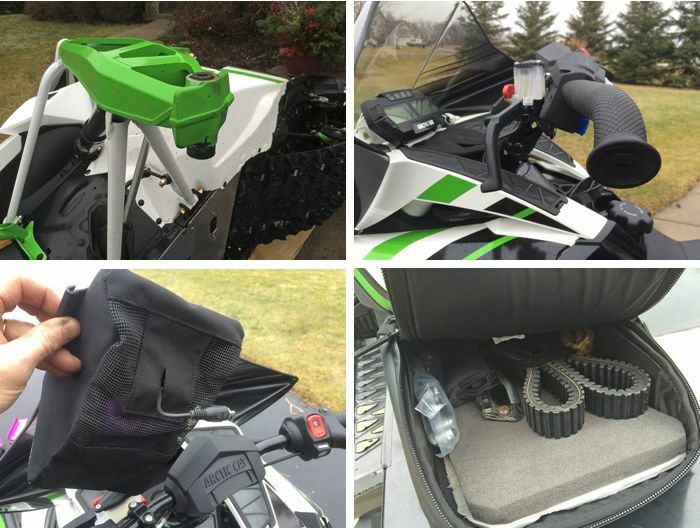 Here are some basic adjustments and modifications I make to my sled prior to the start of the riding season... then I want to know what YOU do. Click to see a few tricks. Last weekend marked the second USXC cross-country race of the season, held in Detroit Lakes, Minn.
Yep, Team Arctic delivered an awesome performance. But as always, there's more to story than just the headlines. Click to read a little deeper. As many people who have tried selling something via craigslist know, there are a lot of would-be scammers out there. Some are immediately apparent while others are slightly craftier. 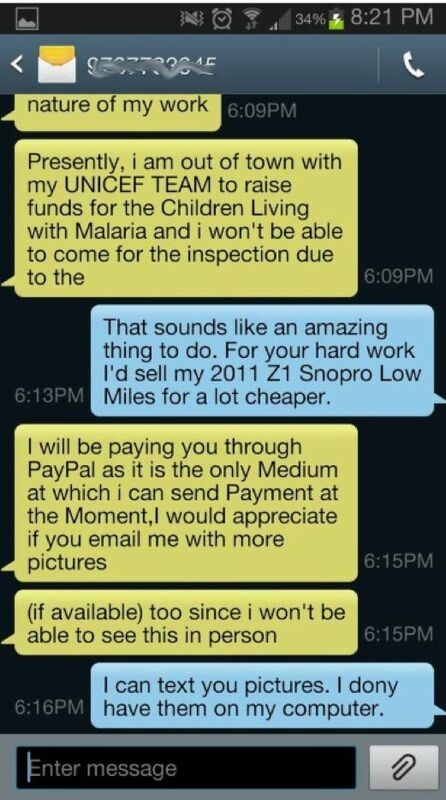 A regular reader of this site (let’s call him “Moe”) who is selling an Arctic Cat Z1 Sno Pro via craigslist had an excellent text exchange with a scammer. The beauty of it was, Moe recognized the scammer from the outset and immediately started jacking with him. Click to read the humorous exchange that ended well for both parties.